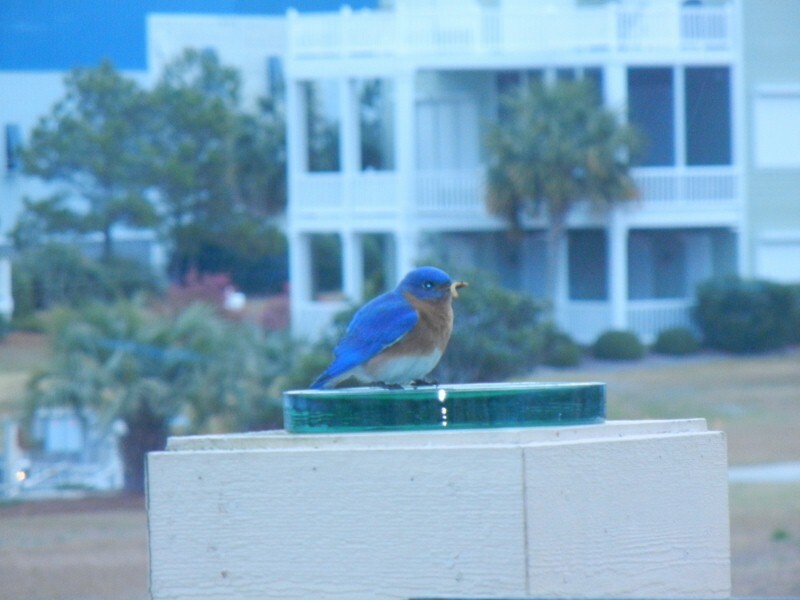 This years bluebirds have built a nest and are now incubating 4 eggs in the birdhouse about 5 feet from our kitchen table. We feed them every day to make life a little bit easier. This years pair we named Patti and Mark for good friends who will also be doing a lot of grand baby sitting this summer.